Irene de la Torre Arenas, alumna of Northeastern University’s MFA in Information Design and Visualization (IDV) program, is an information designer and journalist who is currently a Data Designer at BBC. 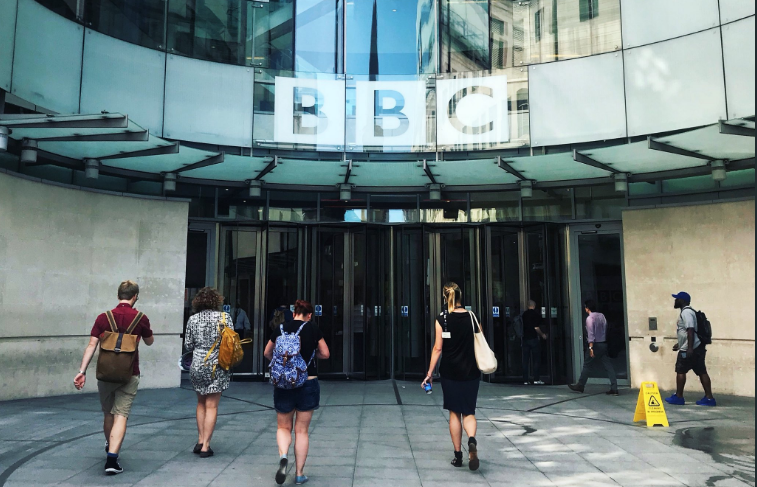 Working in the New Broadcasting House in London, one of the main BBC headquarters, she is a member of the Data Journalism team, focusing on creating graphics and visualizations. Since BBC is a global news organization, often, the graphics must be developed quickly and with careful consideration to its diverse audiences. Irene’s background in journalism is what attracted her to this role at the BBC. “For me, the BBC is the standard of what the profession should be. It’s great to be able to do data journalism in this big company,” she described. Irene graduated from the MFA in Information Design and Visualization here in Northeastern’s College of Arts, Media and Design in 2017, where she focused her thesis on how to use and apply motion in data visualizations in order to achieve different communication goals. The project, entitled “Swimming World Records throughout History,” won a Silver Award at the Kantar Information Is Beautiful Awards in 2017, in the Sports, Games & Leisure category. Now, she is able to continue to pursue her passion for digital storytelling at her role at the BBC, a job she recently started this summer.